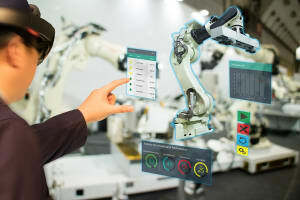 As a technology, augmented reality (AR) can seem so far ahead of its time that it’s hard to believe it’s actually being used in manufacturing applications today—but it is. Maintenance, repair and overhaul (MRO) applications are a particularly promising avenue for AR. This report explains why, exploring the advantages and challenges of using AR for MRO, surveying the available AR hardware options and citing specific case studies from leading manufacturers. At the end of the report, a reader should have a better idea of whether AR really can bridge the skills gap and be able to cite specific examples of how that can happen. Additionally, manufacturing professionals who read this report will be equipped to recognize the practical value of AR for MRO and to determine whether AR makes sense for their MRO application. This research report has been sponsored by PTC.